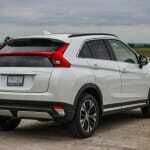 What the Eclipse Cross lacks most is pure and simple refinement. 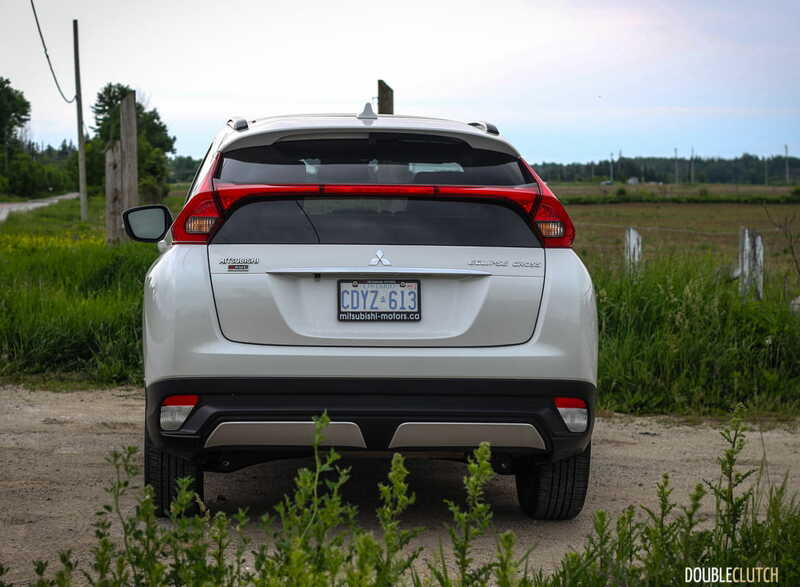 It’s probably fair to say that Mitsubishi has had a bit of a tough run in Canada the last few years. 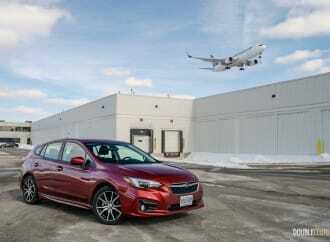 The once-great automaker has struggled to deliver that one vehicle that really resonates with Canadians; enough to drive any heavy volume. 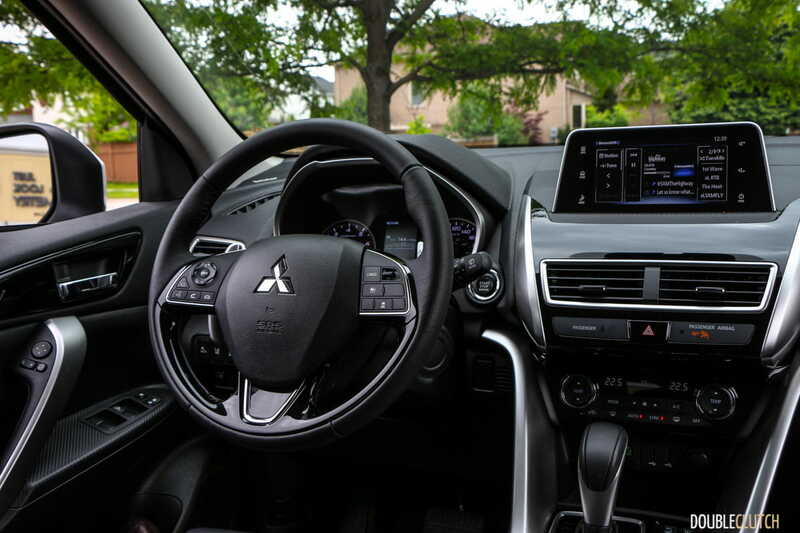 It’s not that they haven’t been trying; the Mirage as a super cheap city runabout was a novel idea, and for that reason remains my favorite offering from Mitsubishi simply because of its cheap and cheerful mission as a disposable city car. The Mirage was quickly overshadowed by the Nissan Micra (reviewed here) and as a result hasn’t picked up too much steam in the market. 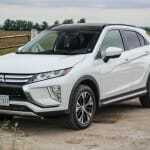 Mitsubishi then turned all of their attention to the hot crossover market, which is where the latest 2018 Mitsubishi Eclipse Cross GT S-AWC plays. Yes, I said Eclipse. 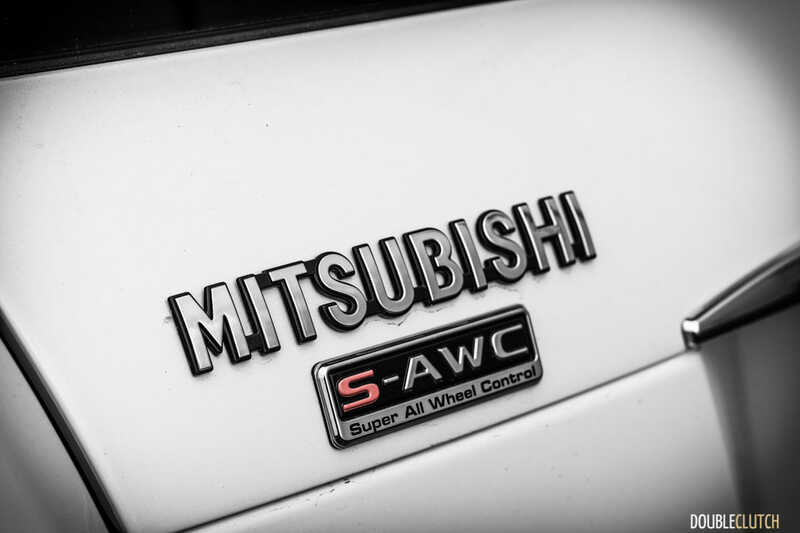 To signal that they’re really putting their best foot forward with this one, Mitsubishi thought it was a good idea to revive the infamous nameplate. 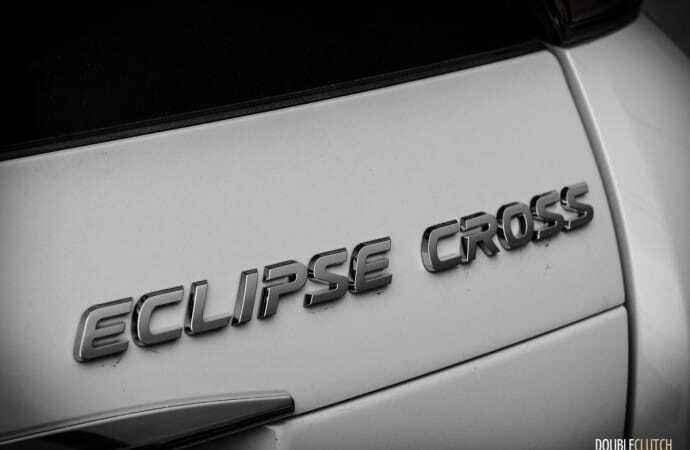 Trouble is, the Eclipse was a popular two-door sports coupe – a great sporty car in its own right, but dramatically different than this offering. 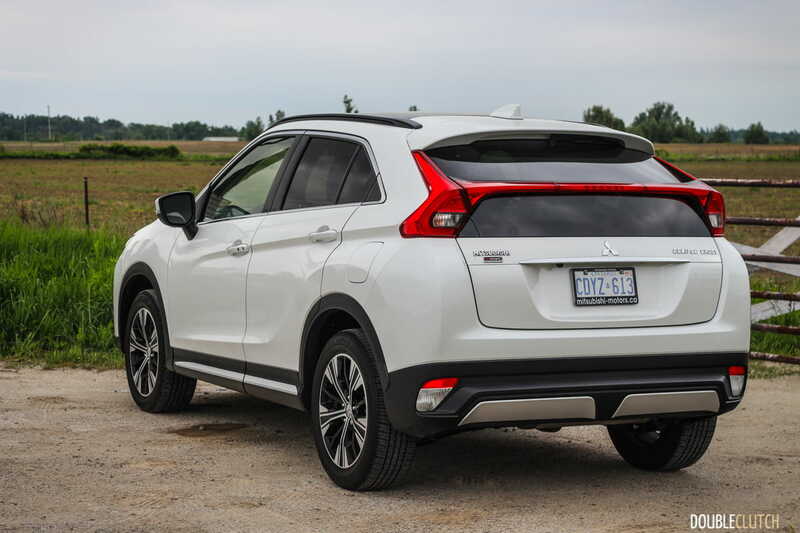 Regardless, the Eclipse Cross is here; a compact CUV that fits right in between the smaller RVR and the larger Outlander (reviewed here). 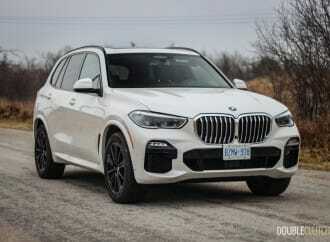 It goes to market up against some seriously heavy hitters in the segment such as the Honda CR-V, Toyota RAV4, and Mazda CX-5. 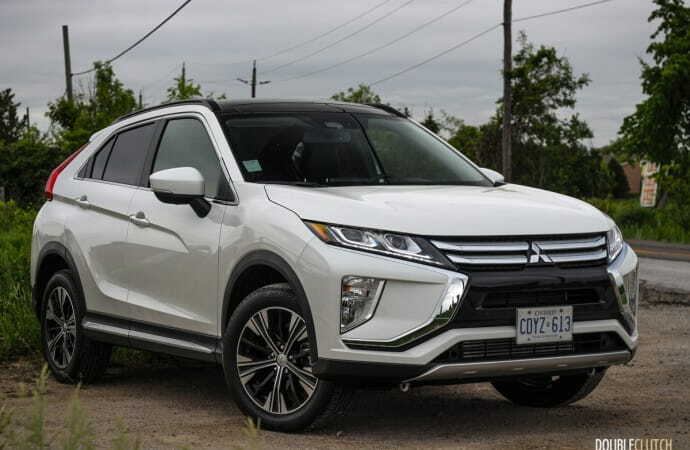 On the outside it resembles its competitors, only with a distinctively Mitsubishi flare sporting the company’s latest shield style fascia and more angular body lines. 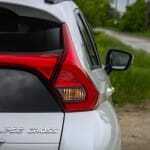 The rear end is uniquely styled with a full-length integrated rear brake light that splits the rear hatch window and lower bumper mounted reverse lights. 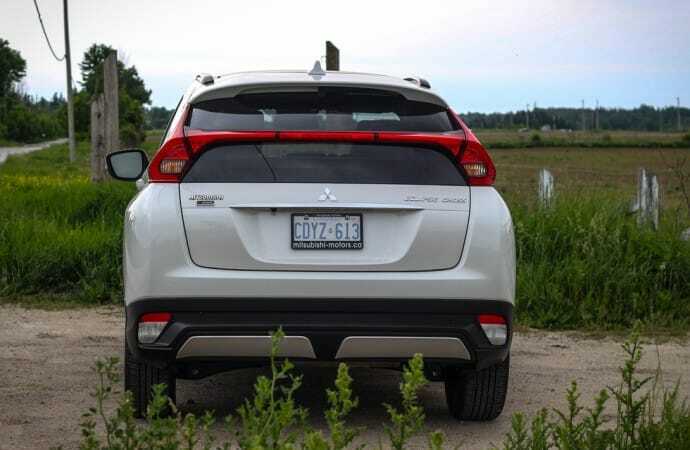 The rear end in particular has a very Honda-esque look, and our tester, finished in optional ($200) Diamond White and sporting the standard 18” wheels really does look fairly agreeable alongside its competitors. 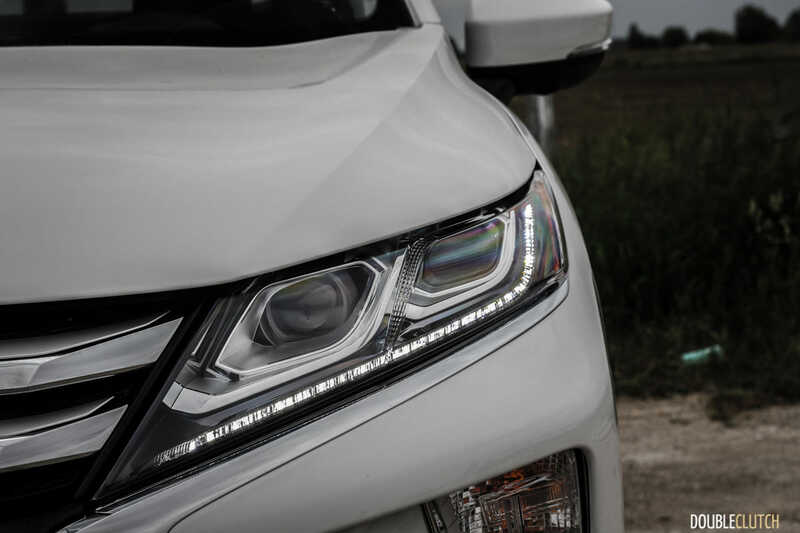 Of note, the front headlights feature a long strip of nicely executed LEDs that serve as the daytime running lights, standard on all trim levels, and our top-line GT S-AWC, also came with LED headlamps. 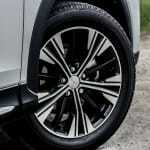 The interior is in line with what you might expect to find in a compact CUV. The layout is clean, sight lines are good, and the rear seats and flexible rear cargo area offer plenty of space for young families. 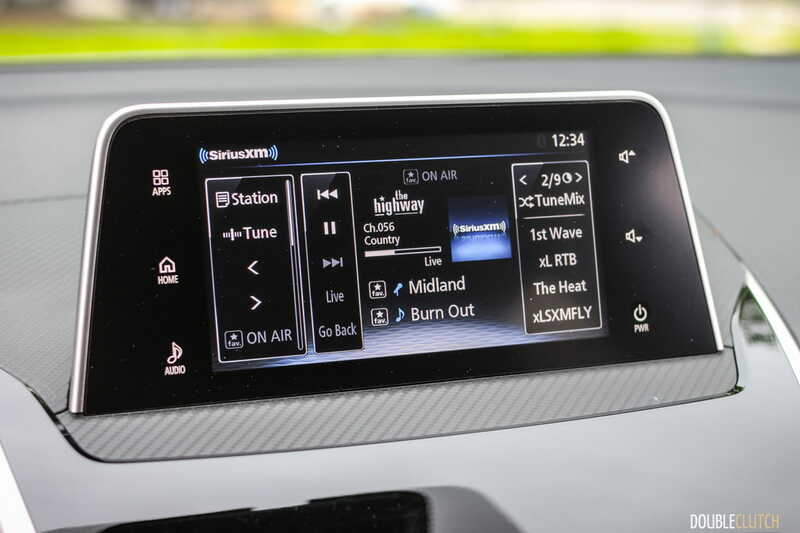 Our tester came very well equipped as well with leather seating, heated front and rear seats and steering wheel, power sunroof, and a 710-watt RockFord Fosgate sound system including a 10” subwoofer. You also get the full gamut of electronic safety features such as rear cross traffic alert, adaptive cruise control, lane departure warning, blind spot warning; and they all seem to work pretty well without being intrusive. 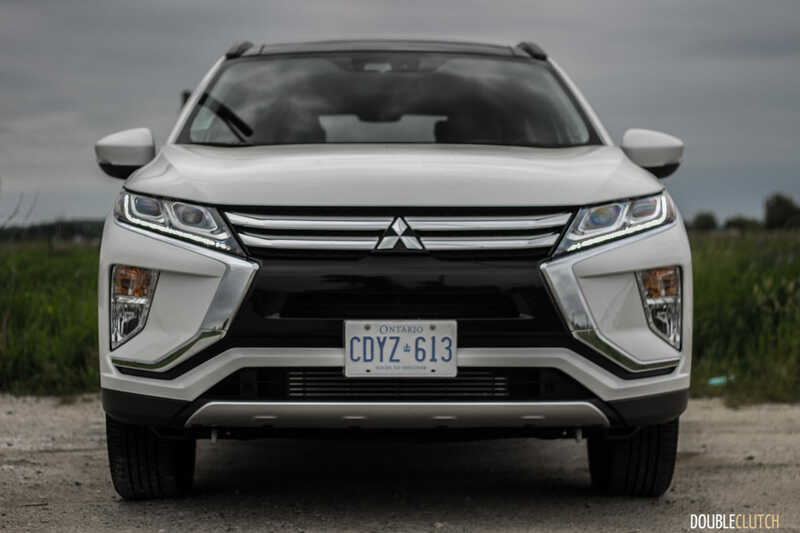 Where it all starts to fall part inside the Eclipse Cross is the execution. 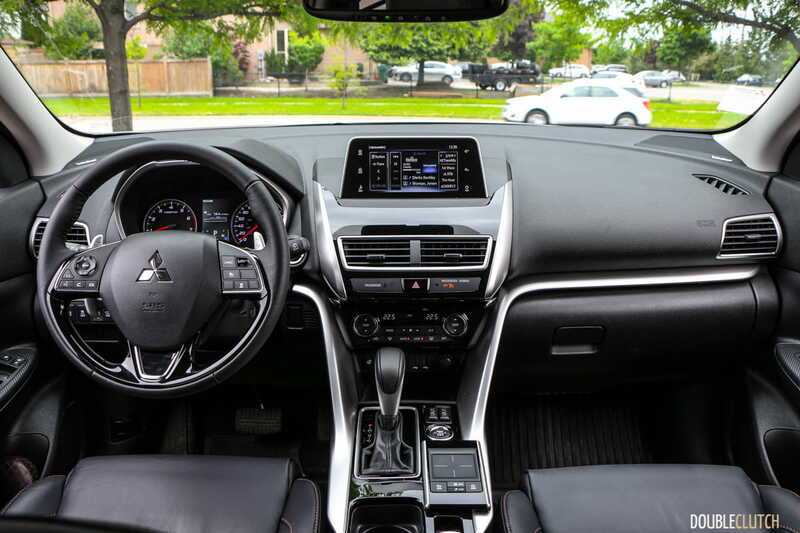 Starting with the interior materials; it’s nearly impossible to find a surface, including the upgraded leather seats, that does not feel notably cheap. 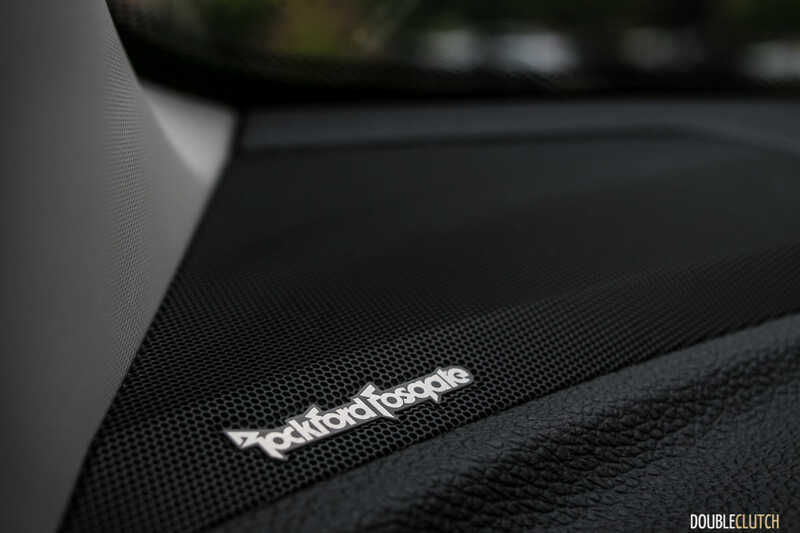 The best way to describe the materials is that these are what you’d expect to find in an economical vehicle from a decade ago. 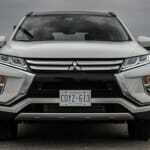 As competition has increased, everyone has stepped up their game, but Mitsubishi still lags here. 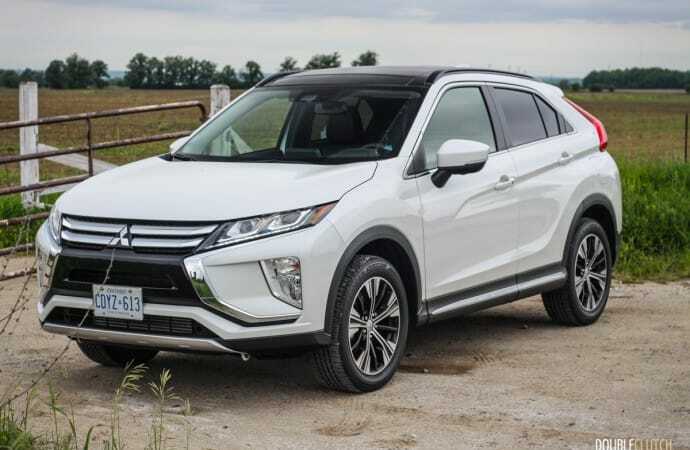 On a positive note, it is tight and rattle free, and the supportive seats, well placed armrests, and abundant storage make the Eclipse Cross a comfortable place to spend time. 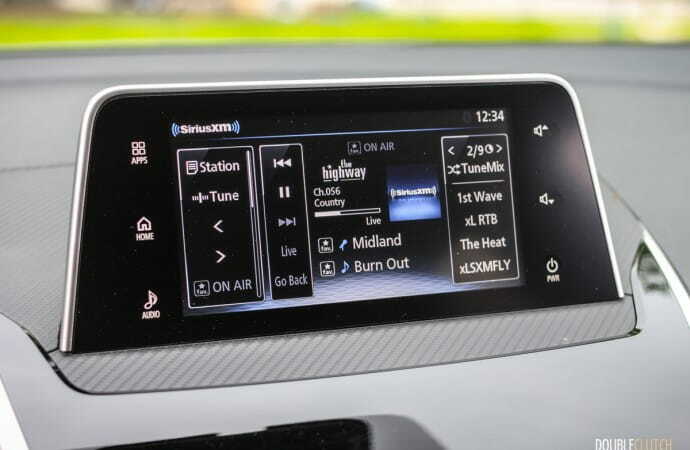 The next issue is the execution of the long list of electronics and features, starting with the new 7” Smartphone Link infotainment system; I try to avoid making broad statements, but this is absolutely the most frustrating infotainment system I have used to date. 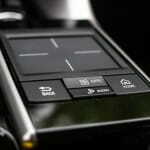 It can be controlled using either the in-dash touch screen, or a console mounted touch pad (à la Lexus). The touchpad is very unresponsive, and a small slight of hand can send you into unintended menus, becoming very distracting. 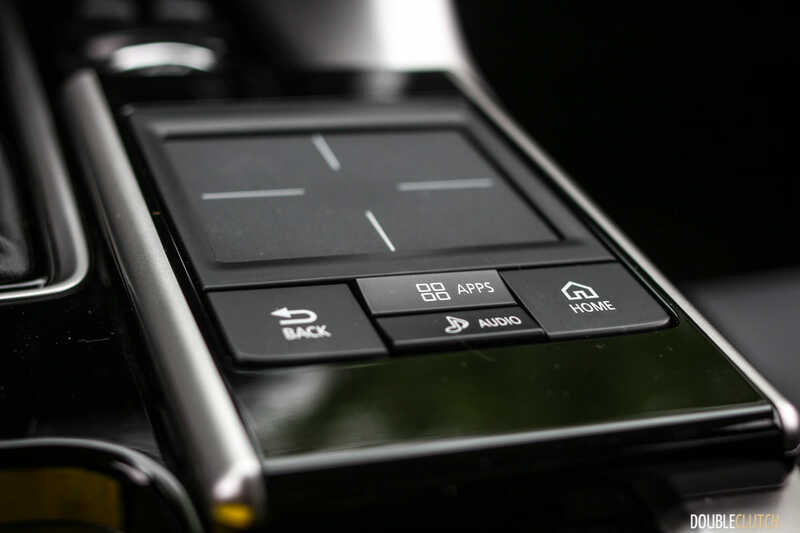 Using the touchscreen is no better; it’s impossible to reach without leaning forward and the buttons are so small that they’re easy to miss while driving. 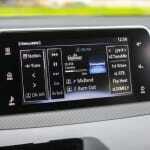 One positive though – the system is compatible with Apple CarPlay and Android Auto. If you can get away with using just those menus the system could be livable. Next up is the Heads-Up Display; similar to the systems found in Mazda vehicles, it uses a plastic screen that rises up out of the dash. Give me a windshield projection system, or don’t do it at all. 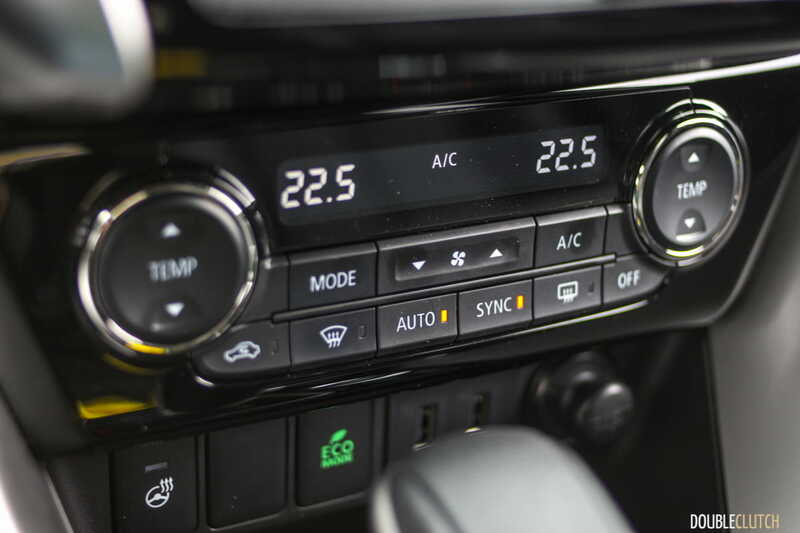 On another positive note, the clean and simple dual-zone climate controls and easily accessible buttons for the heated seats and steering wheel are nice to use. The Eclipse Cross only comes with one powertrain option; a 1.5L turbocharged four cylinder making 152 horsepower and 184 lb-ft. of torque at 2,000RPM, mated to a traditional CVT transmission. The saving grace here is that the turbo-four has a lot of torque accessible on the low end, meaning it does feel quite responsive in the city. 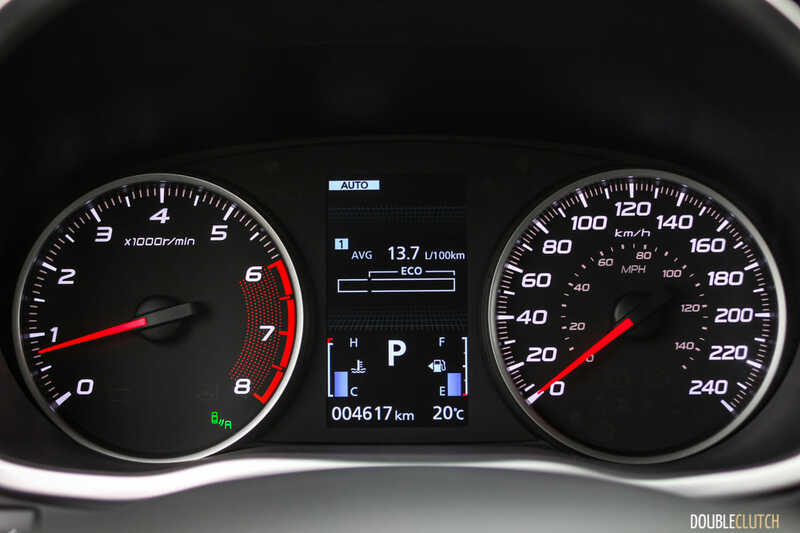 The CVT is also a little more responsive than most, and helps keep the engine in its peak powerband under hard acceleration. 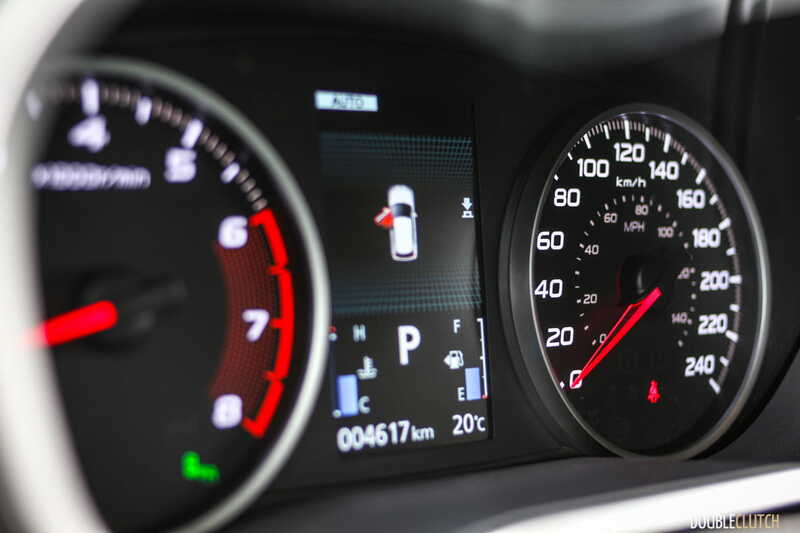 This helps make power delivery feel a bit more linear, even though the engine does sound laboured and the Eclipse Cross runs out of breath quickly, especially when asked to make higher speed passes. 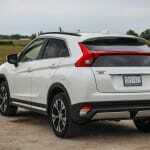 The ride and handling of the Eclipse Cross is going to be fairly agreeable for most shoppers in the segment. 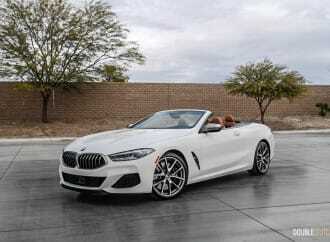 The ride is far from refined and sharp bumps do give occupants a good jostle, but overall it’s comfortable and non-intrusive. 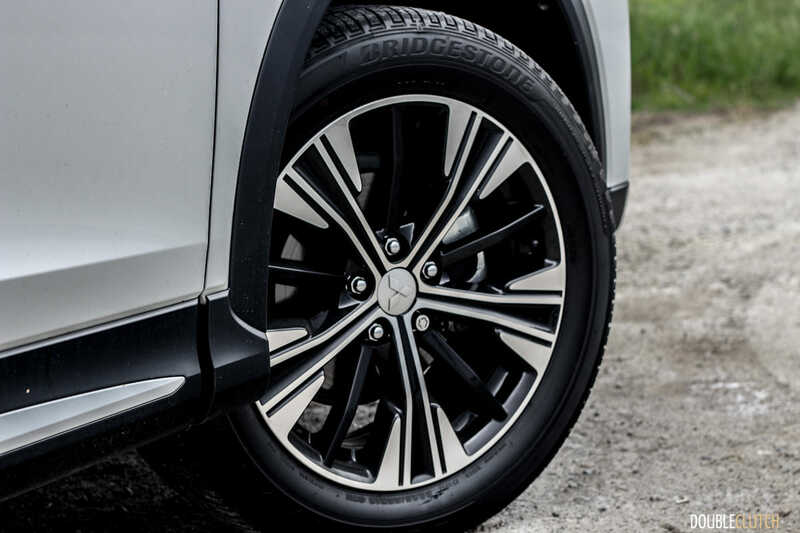 The steering is not engaging by any means with very little connection to the road felt through the wheel, but for most compact CUV drivers it’s going to be fine. Similar can be said for noise levels in the cabin. 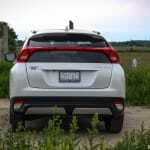 I wouldn’t peg the Eclipse Cross the noisiest in the segment, but it does come close. 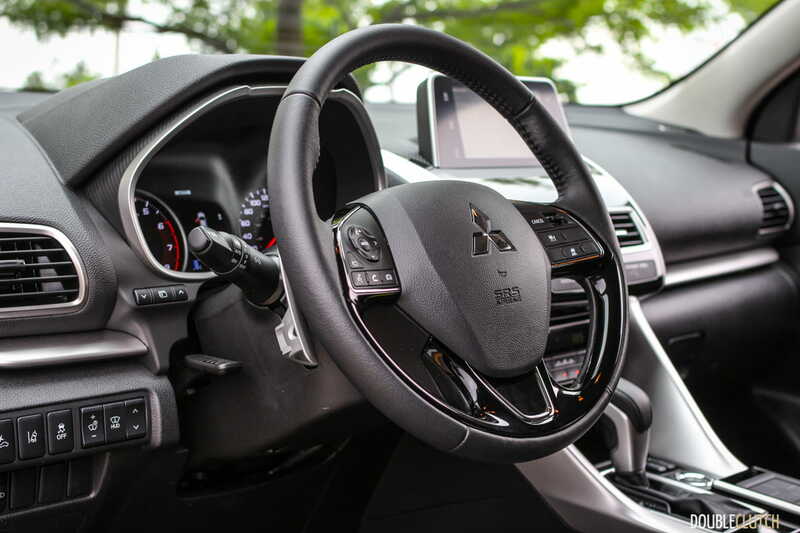 The Eclipse Cross features what Mitsubishi calls Super All Wheel Control. 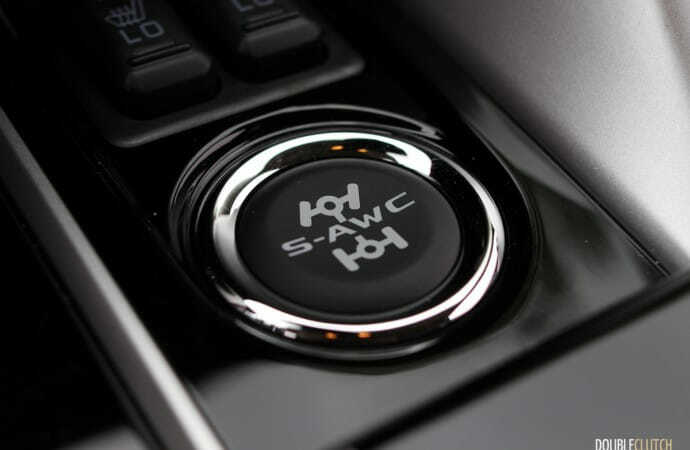 This is essentially an automatic all-wheel-drive system that senses the road, conditions and driver inputs, and reacts accordingly sending power to the wheels where needed. 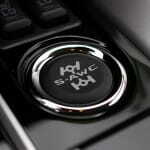 The system has three modes; Auto, Snow and Gravel, making it easy to use for just about anyone. 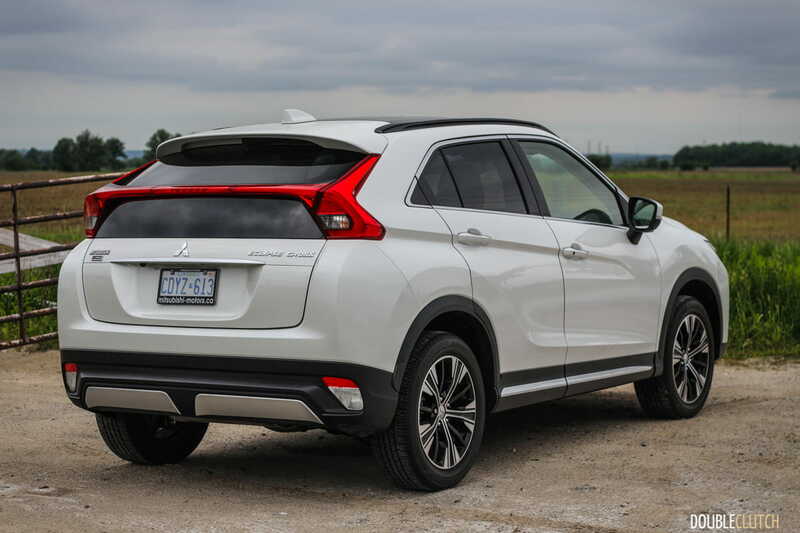 It’s not significantly different than the competitors’ systems, but it is standard on all trim levels in Canada, even the most basic. Fuel economy is an important metric in this segment and the Eclipse falls right into line with its closest competitors in this regard. 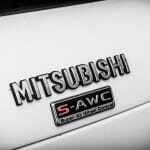 Rated at 9.3L/100km in mixed conditions, our test of a week’s worth of rush hour commuting returned 9.5L/100km. Fairly close to the official rating, and exactly what I would expect from a crossover in this segment. 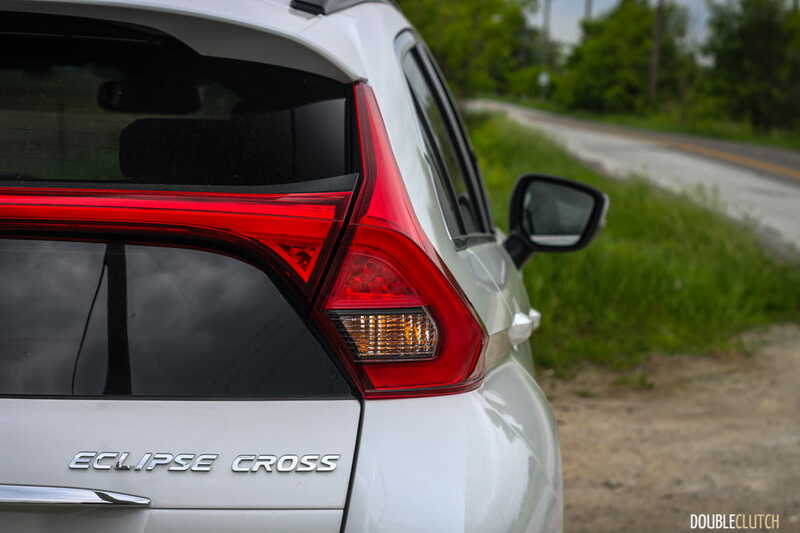 The Eclipse Cross accepts 63L of fuel and despite its turbocharger, it’s happy to run on regular-octane fuel. 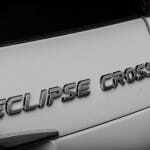 Where the Eclipse does edge ahead of its competitors a bit is on price; the basic ES S-AWC trim level starts at $27,798 and comes decently well equipped with things like heated seats, the 7” infotainment screen, LED daytime running lights, the S-AWC system, 18” wheels, auto climate control and more. This is one of those scenarios where the base trim might actually be the sweet spot. 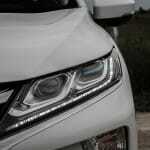 From there you can step up to the SE or top trim GT like our tester, each with increasingly more features. 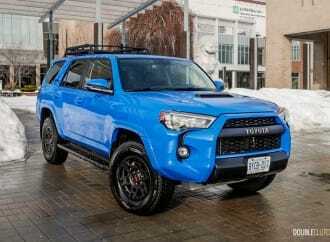 This GT comes to $35,998, and is slightly cheaper than a fully loaded RAV4. 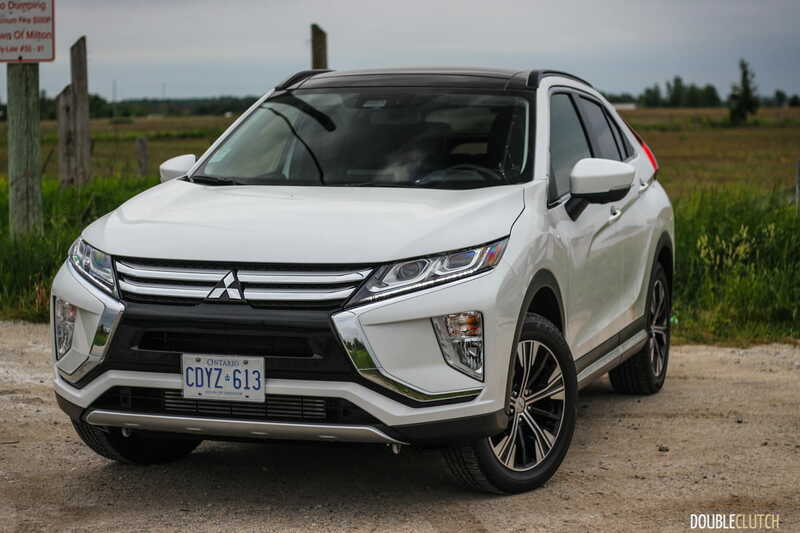 The Eclipse Cross is one of the value offerings in the segment, and that alone might be enough to swing some buyers’ attention. 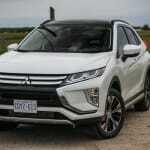 All in all, what the 2018 Mitsubishi Eclipse Cross GT S-AWC lacks most is pure and simple refinement. The formula is right; it’s a value-priced compact crossover that offers all the latest tech and safety, but its mediocre driving dynamics and subpar interior material and infotainment execution really prevent the Eclipse from being the giant killer that it wants to be. 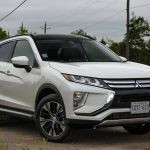 Hopefully, the Eclipse draws enough positive consumer response for Mitsubishi to spend some more R&D funds on ironing out those issues and they could have a viable competitor on their hands.